Just can’t get enough chocolate? 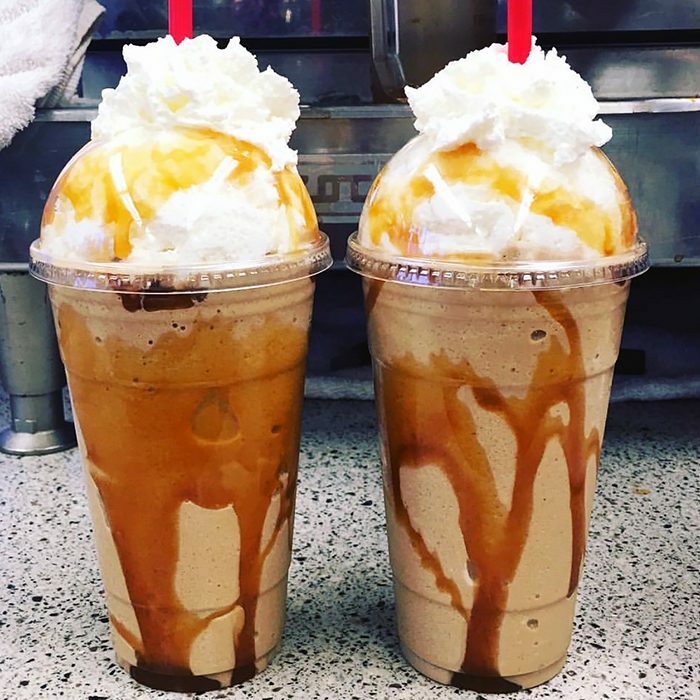 You’ll love the Mocha Milkshake at our Wasilla espresso stand. We use real ice cream, freshly made espresso, and our famously rich mocha sauce for this delicious drink! One of the most caffeinated drinks at our drive-thru coffee shop, our Neon Smoothie will make a lifelong fan out of anybody! Come see for yourself why this brightly colored, high-energy delight is one of our top sellers! Love energy drinks but looking for a healthier alternative? Well we’ve got something for you! 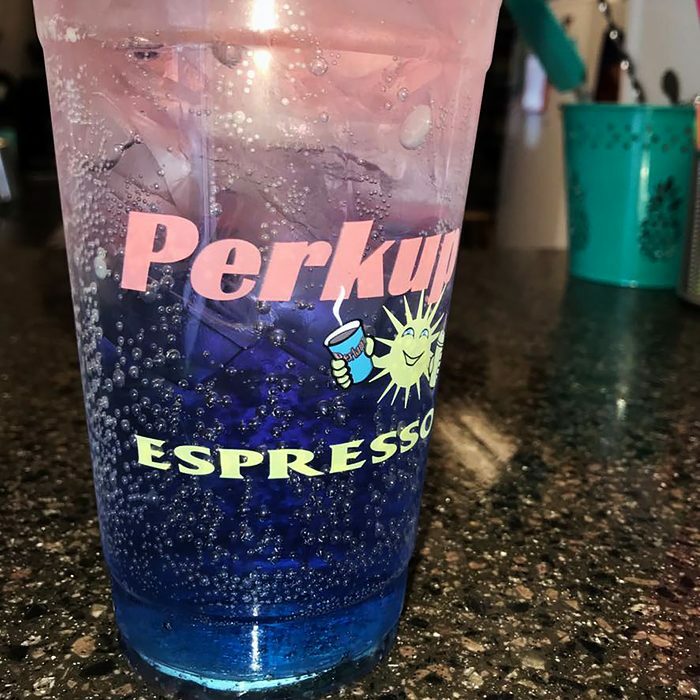 Perkup Espresso is one of Alaska’s only coffee shops offering Blue Lotus and Red Lotus organic energy drinks. Add them to your Italian soda for a healthy burst of energy! 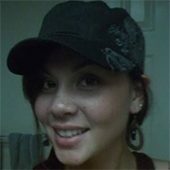 We always treat customers of our Wasilla, Palmer, and Anchorage coffee shops with utmost honesty and integrity. When customers are valued members of your community, how can you treat them any other way? We want your morning espresso, mid-day energy drink, or favorite mocha milkshake to be fun! Our employees create a positive and lively environment for first-time customers and regulars alike. Our accountability is on the line with every beverage served. We are proud to provide an excellent experience every time you visit one of our locations. Consistency is our greatest strength at Perkup Espresso in Wasilla. Our delicious drinks and outstanding service will be the same every time you visit. 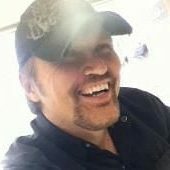 We’ll greet you with a smile and the drinks you love. 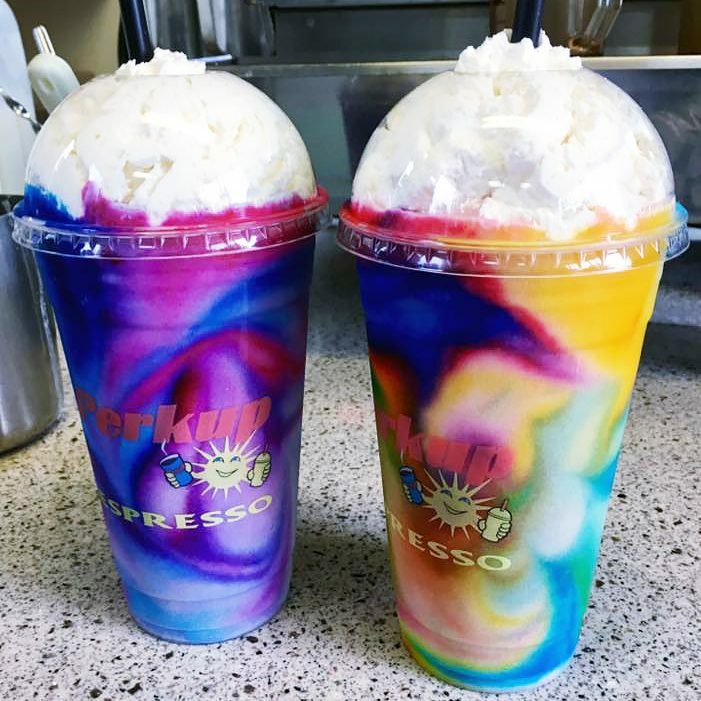 The Perkup Espresso team is the identity of our drive-thru espresso stand. Our team always works together, and is empowered to provide only the best service to all of our customers. Ask your friendly barista how to sign up next time you’re at the stand! You’ll receive $1 towards the purchase of a qualifying drink for every 100 points earned. Always wanted to join a team of hard-working, friendly caffeine lovers? We’re always looking for reliable and friendly baristas to work with us at our drive-thru coffee stand in Wasilla.